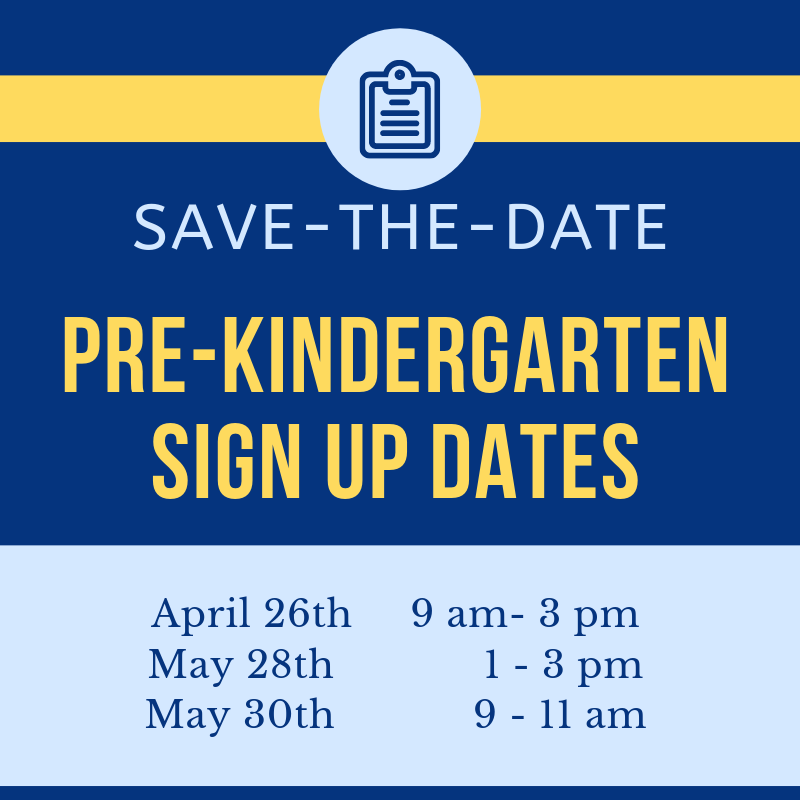 April 26th 9:00 a.m. to 3:00 p.m.
Student must turn 4 years old on or before September 1, 2019. The student’s legal parent or guardian must complete the registration process. Proof of Residency - lease/mortgage agreement or statement of utility bill showing service in your/spouse’s name at the address of enrollment. If you are living with someone else, that person needs to come with you with a proof of their residency. A residency affidavit will require their signature. Enrollment will not be processed until the online registration is complete and all documentation is submitted. Online registration applications will not be approved if the sign-up procedures were not completed at the school site on the dates above. Sign-ups are subject to space available and will be held at your designated school sites on the dates above only. Sign-ups will resume on July 29th, 2019.